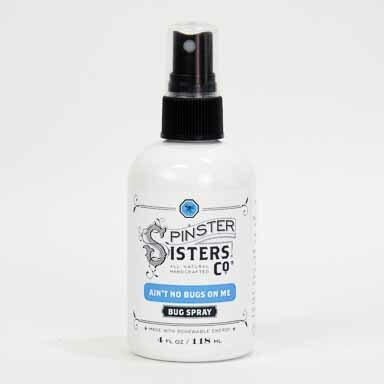 Ain't No Bugs On Me Bug Spray | Apothecary | Spinster Sisters Co.
Bugs are great in nature, but not so great when they're on you. 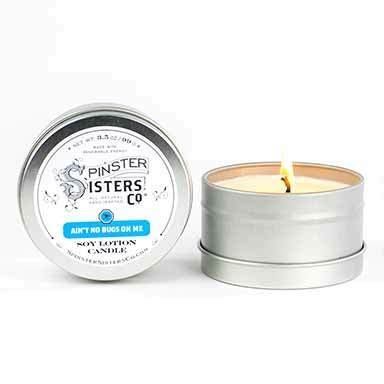 Our Ain't No Bugs On Me Bug Spray keeps big bugs (like horseflies) and small bugs (the dreaded no-see-ums!) far away from you. 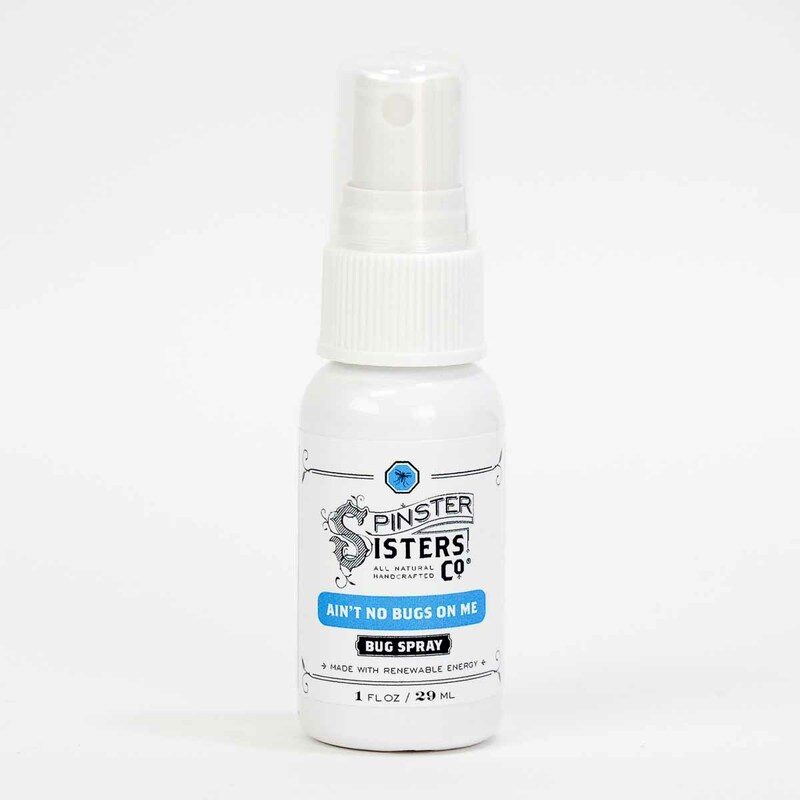 This spray is a natural and healthy alternative to DEET because instead of engineered chemicals, we use citronella, lemongrass, and eucalyptus oils, all natural insect repellents. Ain't No Bugs On Me will keep you bug-free and happy! 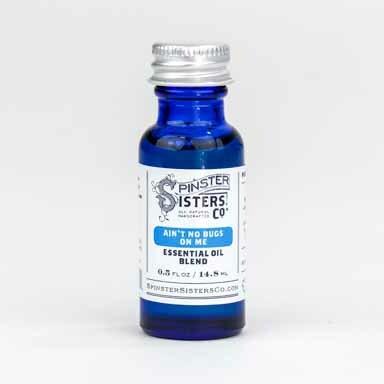 Prunus Amygdalus Dulcis (Sweet Almond) Oil, Hamamelis Virginiana (Witch Hazel) Distillate, Glycerin, Tocopherol (Vitamin E) Oil, Cymbopogon Schoenanthus (Lemongrass) Oil, Eucalyptus Globulus Leaf Oil, and Cymbopogon Nardus (Citronella) Oil. When camping, getting groovy at a music festival, or simply enjoying the great outdoors, liberally spray Ain't No Bugs On Me on yourself and on your friends. 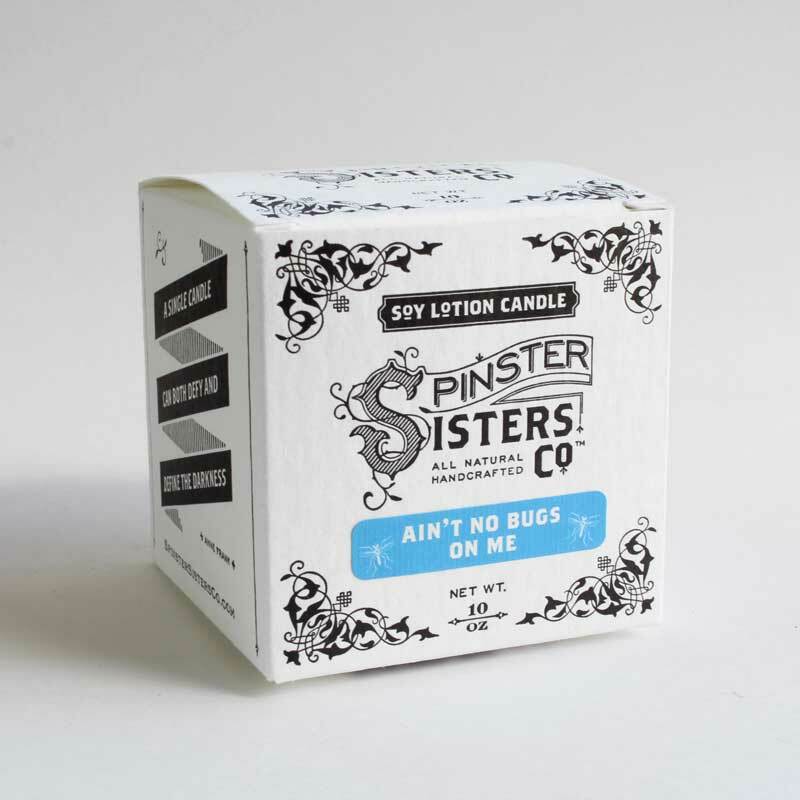 You'll smell great and be bug-free.